I hope you enjoyed the nice weather this weekend! It was so nice and relaxing, the sun was so bright and shiny. Now today the sun was shining, but boy was it cold out there. I guess the cold weather is back until next week. In fact, we are suppose to get a little snow this week. I don't know about you, but I am so ready for Spring to get here! 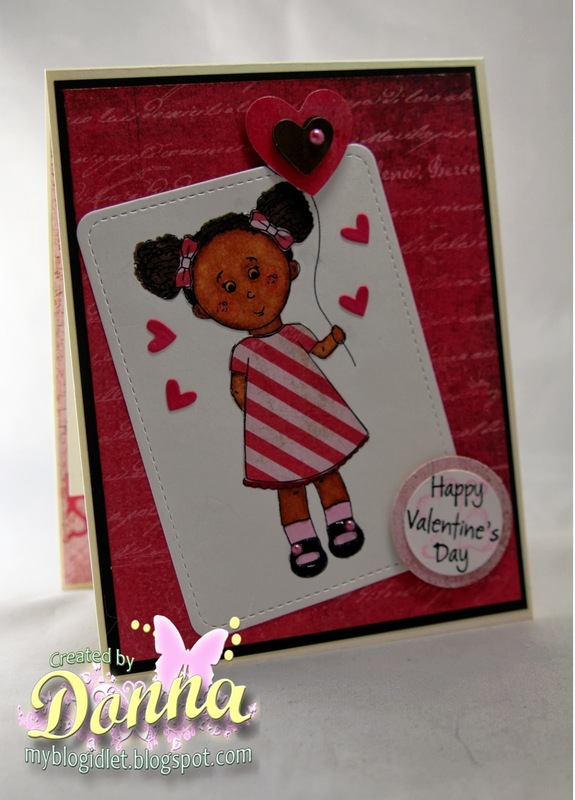 Well, I am sharing a card I made for Lil' Inker Designs. The have created an Instagram page and if you create a card using their products, your card will be entered into a drawing. I just discovered Lil' Inker Designs in the last four months and I love their dies. They cut so nice and crisp and they are a good quality of metal. I am sold! 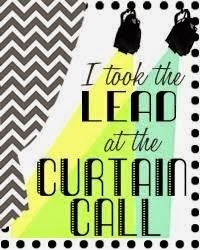 I can't wait to put another order in to add to my hoard!!!! Speaking of "hoard", have you stopped by the Craft Hoarders Anonymous Challenge blog? 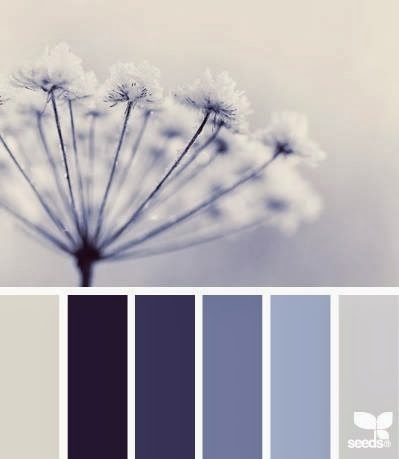 This weeks challenge is a color challenge with a twist. Pick the thing or things that you seem to hoard the most, and use the color scheme. Click the link above and show us your hoard! Oh, did I mention, there is a great prize package donated by Close To My Heart, retail of 87.00. You have until March 2nd. I can't wait to see what you create. Thanks so much for stopping by. 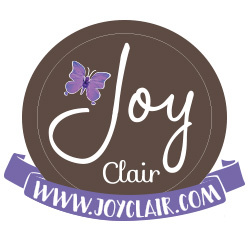 If you enjoy my reading my blog and seeing my creations, please follow me on the right sidebar. I also have a facebook page "Creative Lady", stop by and like my page. Check out the projects that Team B has created. Show them some love and leave a comment if you like their creation! If you didn't stop by last week to see what everyone created, here are the links. Welcome to the second Craft Hoarders Anonymous Challenge Blog. This challenge is to "Let's See that Hoard", but only the blue stuff!!! We are so excited about how many responses we had for challenge 1. Good luck on winning the challenge if you participated!!! You can read all the details and link your creation on the Craft Hoarders Anonymous blog. I cannot wait to see what you create with all your hoard! The challenge goes for two weeks, you have until March 2nd @ 12 midnight PST. 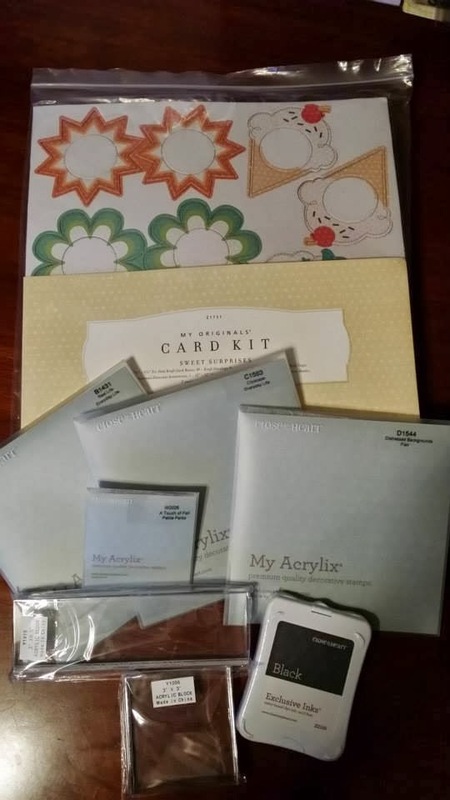 One talented participant will receive this prize pack, donated by Shari Czerwinski, Independent Consultant for Close to My Heart! Close to My Heart (CTMH) is a leader in the scrapbooking and stamping industry, specializing in stamps, coordinating inks, papers and markers. 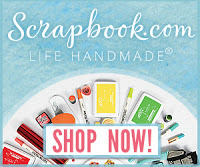 You will find everything you need for your scrapbooking, stamping, cardmaking, and paper crafting needs. We show you how to celebrate relationships through discovering your creativity, to preserve and share the moments that matter most. To learn more about CTMH or their products, please visit Shari's site, HERE. 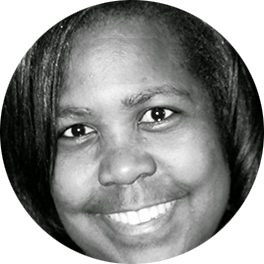 For more information about Shari, and to see what crafty things she is currently working on, visit her blog, Lead and Lace Gifts. Here is my interpretation of the challenge. 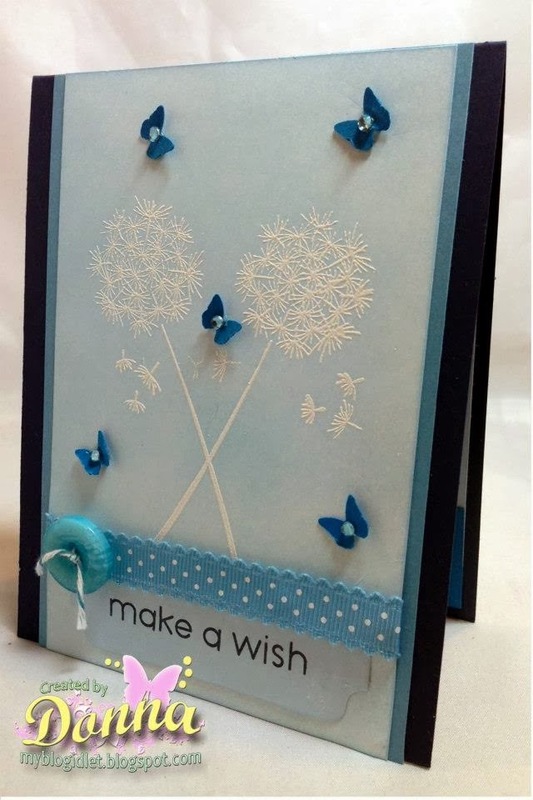 I used a hero arts stamp called "Dandelion" and embossed it with white embossing powder. 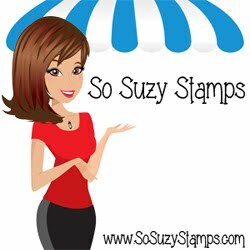 My layers are three different colors of blue's by Stampin Up. I punched some blue butterfly's with the Martha Stewart punch and added some rhinestones in the middle. I finished the card off with Stampin Up's ribbon and button. So get started with your project so we can see your interpretation of this challenge! You can upload your project here Craft Hoarders Anonymous Challenge. Make sure you visit Design Team Group A and check out what they have to share! Show them some love and leave a comment if you like their creation! This will be a quick post. I wanted to share with you a few butterfly cards I created for my sister to give to a couple of her sorority sisters. I packaged them in a box of six cards. She loved them! 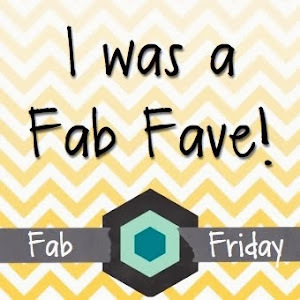 Thanks for stopping in....please stop back tomorrow, the Craft Hoarders Anonymous Challenge Blog will have a new challenge up for you to play along! Did you stop in at Craft Hoarders Anonymous Challenge last week? If not, there is still time to participate in the challenge! This challenge is to dig into your hoard and create a project that represents your style. It doesn't have to be a card, it can be anything that is crafty and represents you! Here are the links below for Design #2 has created. Check out their beautiful creations and leave a comment, we all love hearing from you! You can read all the details and link your creation on the Craft Hoarders Anonymous blog. I cannot wait to see what you create with all your hoard! The challenge ends on February 17th @ 12 midnight PST. The challenge winner will receive some wonderful goodies donated by Gloria Stengel. If you didn't stop in to see what design team #1 created, here are the links below.....check it out and leave a comment! Thanks so much for stopping by, please come back again soon! I'm stopping in to play along with Mojo Monday. This is about my second or third card that I have used the Fancy Pants Be.Loved. paper. I have fallen in "love" with this collection. I enjoy making Christmas and Valentine cards, red is my favorite color so I am thinking this is why I enjoy making them so much. It's the first Monday of the month, which means it's contest week at the Mojo Monday blog! For every 50 entries there will be a random winner drawn to win a Verve set of their choice. So hop on over to the Mojo Monday and create something using Verve's sketch. It's a really fun one this week. Also, I wanted to remind you there is still time to hop over to Craft Hoarders Anonymous Challenge Blog and create something that represents your style! 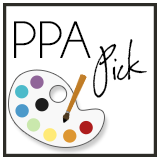 You can link your project up using the Link tool on the blog. The challenge rules are HERE. 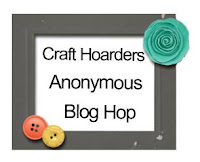 Welcome to the first ever Craft Hoarders Anonymous Challenge Blog. 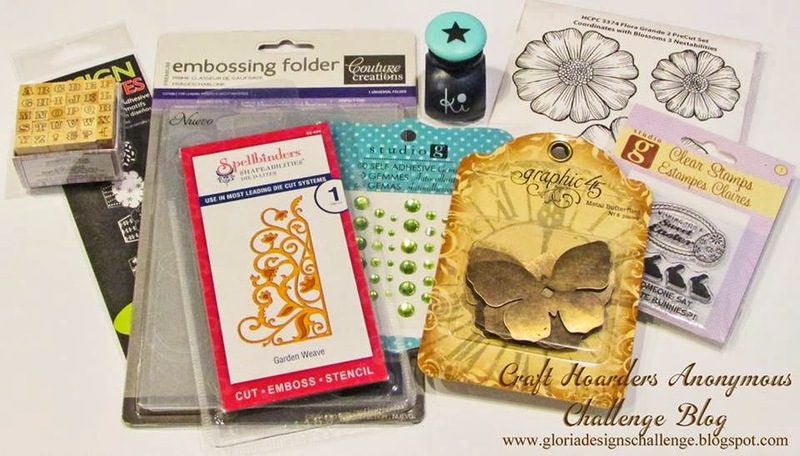 This challenge is to dig into your hoard and create a project that represents your style. It doesn't have to be a card, it can be anything that is crafty and represents you! You can read all the details and link your creation on the Craft Hoarders Anonymous blog. I cannot wait to see what you create with all your hoard! The challenge goes for two weeks, you have until February 17th @ 12 midnight PST. The challenge winner will receive some wonderful goodies donated by Gloria Stengel. I have created a Valentine card for my seven year old granddaughter. Isn't she cute! She is a digi-stamp called Elisha Jean from The Cutting Café. 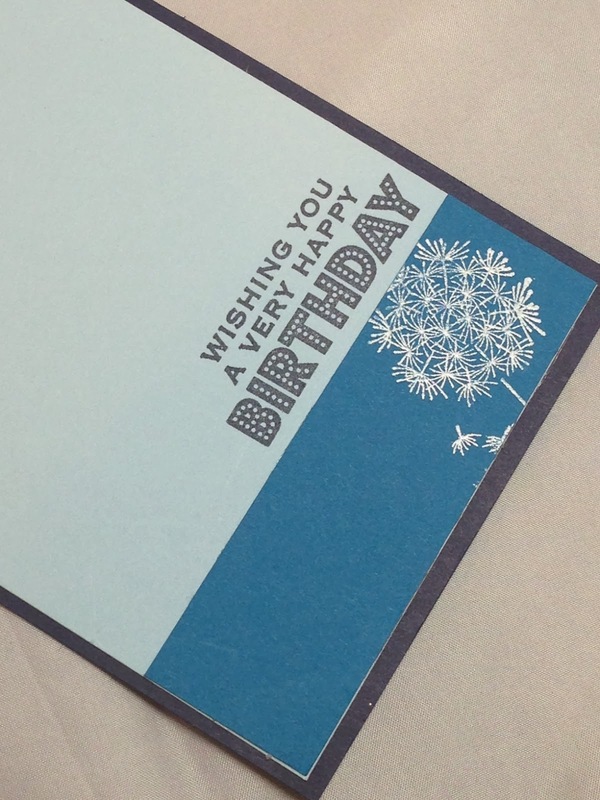 I love layers and like to have dimension on my cards. I paper pierced the dress and bows on Elisha Jean. Punched out some hearts and used glossy accents on her shoes to look like patent leather shoes. Good luck and thanks for stopping by, get your hoard out and start creating. Come back again soon! Congratulations all you Seattle fans out there! So happy the Seahawks won....I use to live in Washington State so I was hoping they would win. I have a card to share with you. I saw a card similar to this card, but could not find it again to link this post to it. This card could be a Valentine card or just a card to say, "I love you." Thanks for stopping by again! 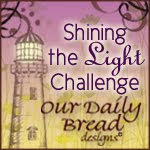 Please come back tomorrow and join the first Challenge for Craft Hoarders Anonymous Challenge Blog! 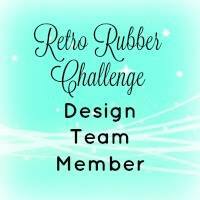 I am on the design team for this blog and want you to play along. If you do decide to play along, please leave a comment that you have joined the challenge. I want to see what you have designed.